Want to know how to become a museum curator in the UK? Everyone knows that securing a job in the museum sector is tough. So I decided to ask Katie Hall, one of the curators for Birmingham Museums Trust, how she carved a career in the art world and this competitive sector. 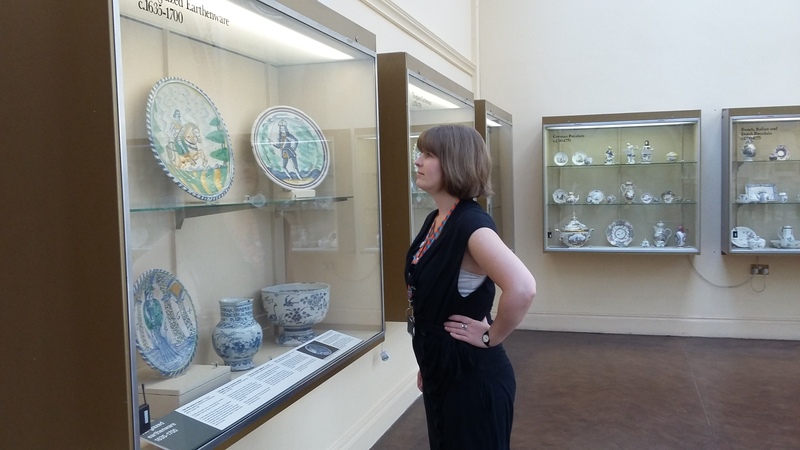 Katie Hall has worked at Birmingham Museum & Art Gallery since 2012 and recently her role has developed into a new position as Exhibitions Curator. I met her in the museum’s beautiful Edwardian tea rooms to ask her what it takes to project manage their exciting and busy exhibition programme. Here’s what she had to say about her career journey post graduation…. For Katie, every day is different: the majority of her time is spent working on upcoming exhibitions, as well as looking after displays, interpretation and collections. Most of her work is based at the Museum and Art Gallery but her work extends across all of the Birmingham Museums. She also works a lot with designers to shape what an exhibition will look like, taking it from an idea to physical form in the museum’s varied spaces. She works alongside a small team of 6 internal curators, who all have specialisms related to the museum’s objects and art work. At the moment, Katie is working with the Natural Sciences Curator, as they plan to bring Dippy the Dinosaur to the museum in 2018! Katie explained that she really likes to work with different collections, subjects and new exhibitions, as it requires her to keep learning. There is also a real sense of achievement, as she is always working towards something and can see an end product in the shape of an exhibition. “In my job I have to turn an idea into a physical exhibition, making the museum an interesting and engaging place to be”. Do you need a Masters to work in museums? I asked Katie if she thinks her Masters helped her to break into the museum world. Reflecting on her taught MA in Art History at the University of Birmingham, she says that the year-long course enabled her to focus on, and demonstrate, her interest in the arts. It also allowed her, as part of the programme, to put on an exhibition at the Barber Institute of Fine Arts. This opportunity developed the practical skills essential for working in a museum, and also led into an internship. 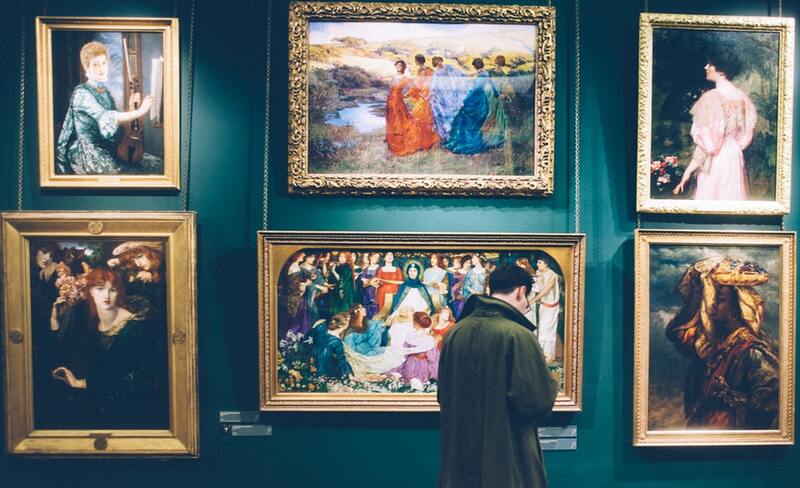 For many curatorial positions, you will also need to specialise through a PhD in a particular subject area, although this varies between institutions. Following on from her Masters, Katie was offered a part-time internship at the Barber, which she says was, in part, due to the work she had done there during her Masters. In her position as Curatorial and Education intern, Katie assisted the curatorial team with collections documentation, exhibition development and produced her own exhibition in one of the print bays. She also assisted the Learning team with developing resources and programming. Whilst interning, Katie continued to work at the library, juggling a busy schedule. You can get into the arts through work experience – find out where you should be looking for opportunities here. When this project ended, she then successfully gained a place on the university’s Cultural Intern Scheme, which gives graduates the chance to spend six months within an arts organisation in the West Midlands. Katie successfully applied for the internship at Birmingham Museum & Art Gallery, and since then has stayed there, working her way up! It was this year that her role as Exhibitions Officer developed into an Exhibitions Curator post. “You can meet some people who have a really clear idea of what they want to do from early on, and I found this quite intimidating. I have found the things and roles I like the most through working in a variety of positions and organisations, which have led me in the right direction”. Work experience is essential: whether it is volunteering or a more structured internship, work experience proves your motivation to work in museums and gives you valuable experience. As a student you are in control of your time, which means you can fit it around your studies. Birmingham is best: Birmingham has been a brilliant place to work for Katie, and she recommends it for graduates given the high and growing number of arts organisations, from museums and galleries to arts festivals and events. Persevere: Katie managed to juggle part-time internships and volunteering alongside other jobs, whilst she sought a full-time position in a museum. At times, she kept applying for jobs without even being invited to interview, but she didn’t give up, proving that perseverance pays off! “These 17th century English ceramics (see featured photo) are some of my favourite pieces in the collection at the moment. Last year I researched and rewrote our gallery interpretation for them and found them really fascinating. I love the style they’re decorated in and was interested to discover what a strong political statement some of them would have made at the time” – Katie Hall. Birmingham Museums Trust offers volunteering, work experience and internships across departments, with specific roles meeting demands of particular projects. If you’re interested, you can see the current opportunities here.